The largest part of Gothenburg’s Botanical Garden constitutes a nature reserve including an arboretum. The garden comprises about 40 hectares and shows approximately 12,000 different species in various sections. The topography of the garden is very varied, much of it consisting of hilly terrain which lends itself naturally to boundaries drawn between different layouts with contrasting vegetation. The huge and dramatic rock garden with its 5,000 species from different continents is internationally acknowledged. Nearby is the greenly peaceful Japanese Glade where valuable plants from East Asia can be seen. Visitors may also enjoy the world’s largest collection of bulbs and tuberous plants brought here straight from their wild habitats. The pretty Herb Garden, the lush beds of perennials and the Kitchen Garden with its crop rotation are all interesting in their special ways. 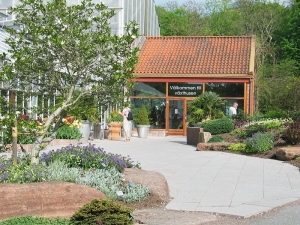 The Gothenburg Botanical Garden has also been well to the fore with a new outlook on how to grow annuals, the so-called summer blooming concept. The green houses host 4,000 species. Among them are Sweden’s finest collection of orchids and the unique Toromiro Tree (Sophora toromiro) from Easter Island. 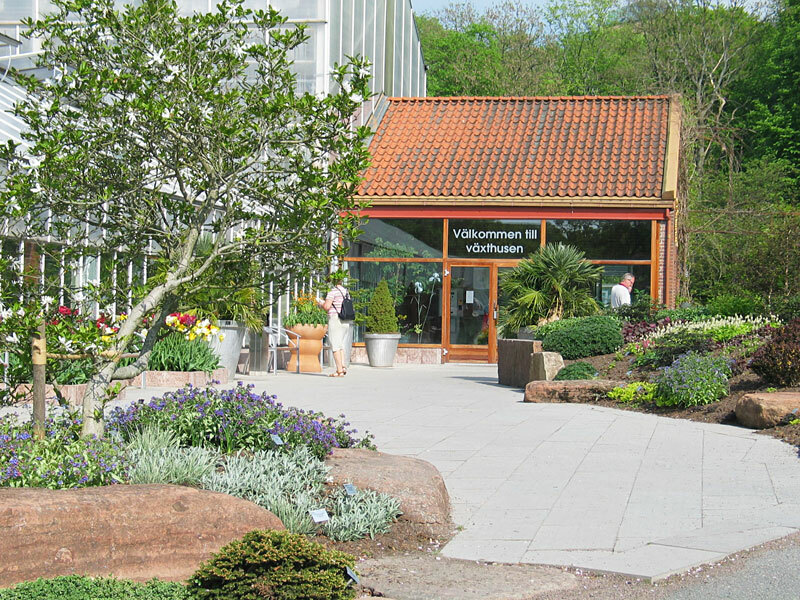 Gothenburg’s Botanical Garden, inaugurated in 1923, offers a rich variety of habitats and garden rooms. The Rock Garden is the pride of the garden. Here about 6,000 low, colourful plants, suited to cultivation in rockeries, turf-plantations, marshes and shady areas are on display, arranged according to their geographical origin. In 2012 “Scandinavia” was opened to show and protect native plants threatened by extinction. In “Europe” gentians, edelweiss, alpine dwarf cherries (Prunus prostata), saxifrages, “alpine Poppy” (Papaver alpinum) and broom flourish. Many of these plants are suitable for private gardens. “Asia” is divided into sections to give optimum conditions for the delicate specimens. The Baikal pasque flower (Pulsatilla patens) needs sunlight and warmth, while a cooler and more humid environment is necessary if the sky blue flowers of the Himalayan Meconopsis. “America” reflects the climatic variations of the continent. Wood lilies (Trillium), dog’s tooth violet (Erythronium) and snowdrop trees (Halesia) are happiest in the shade. In sunnier parts, Spanish dagger (Yucca), lewisia, penstemon, phlox, alum root (Heuchera) and hardy cacti grow. The pitcher plant (Sarracenia), an insect-eating plant, dwells in a small bog area. The flowers of many American species are bright orange, which in their native habitats attracts hummingbirds that pollinate these plants. Acid soil, high humidity, a sheltered location and a relatively mild winter climate are the conditions which make the collection of wild rhododendrons one of the largest in the Nordic countries. There are more than two hundred wild species on display and at least twice as many cultivars. The most common colours are pink and red, but their palette is also made up of white, yellow, purple and blue. It may be said thatRhododendron dauricum is the hardiest one and if the weather is mild it may start flowering in the late autumn. Hybridized, leaf-shedding species, so-called garden azaleas, reach their peak at the beginning of June, while many of their more delicate, wild relatives may blossom earlier or later. The richest flowering of rhododendrons, however, takes place from the middle of May until early June. A visit in late April can be most rewarding in the Rhododendron Valley. A magnificent flowering of rhododendrons and delicate spring flowers alongside the rippling creek is an experience, often enriched by the most delightful bird song. The aim of the Japanese Glade is to give a glimpse and idea of the rich nature and culture of Japan, not to create a Japanese garden. The plants here are typical to Japanese promenade gardens. For the arboretum about 15 hectares of the outer area have been planted since 1950 with foreign trees and shrubs, like Cercidiphyllum japonicum, the living fossile Metasequoia glyptostroboides and about 300 other species. Most of them have been brought to the garden by its own staff and are of known, wild origin. Some species and provenances are of a great horticultural interest and may play a role in a future improvement of public plantations in southern Sweden. Per Wendelbo was head of the Botanical Garden from 1965 until 1981 and established the interest for bulbs and tubers. He laid the foundation for the excellent collections that survive and evolve today. This is one of the world’s finest collections of bulbs and tubers collected in the wild. Many of them have become the subject of research at the Department of Botany at the University of Gothenburg. 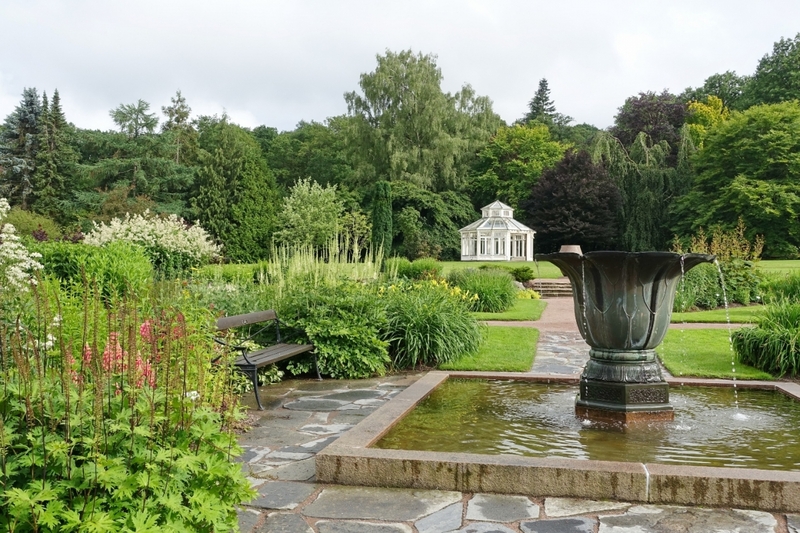 The mansion garden reflects the garden ideals for the City of Gothenburg’s ”town estates” in the late 1800’s. The style is classical formal: the clipped lime, beech and boxwood hedges create a symmetrical garden room, a design that can be traced back thousands of years to the earliest known gardens of Persia – known as Pairi-daeza, from which our word paradise comes. Perennials grown in Sweden before 1940 are on display in the flower beds. Each plant has a well-documented history and is part of the cultural heritage. Many of the varieties are included in POM and were donated by individuals during the so-called ”perennial appeal”. The herb garden, opened in 2006, features herbs and medicinal plants, many of them with a fascinating history. It is located next to a small, well-preserved house from the 1700’s. This garden is built with limestone. The borders have been given a freer composition than is customary in herb gardens. Great emphasis has been placed on corresponding colours, shapes, and heights to create an exciting attraction with rich visual and scent impressions. The large perennial borders are located in the middle of the Botanical Garden. The plants along the walls and in the slope up to the large lawn flower mainly in spring and early summer. Most plants are available on the market and easy to grow. The borders real climax occurs from midsummer to late fall. The plants are arranged in a sliding scale from pale pastel to strong warm colours around the ancient bronze fountain from Japan. Colour composition with perennials is an English tradition, which is primarily based on the garden architect Gertrude Jekyll’s work around the turn of the century. 12am – 5pm rest of the year. Accessibility: The park is part of a nature reserve and naturally hilly. A wheel chair can be borrowed in the shop for free.